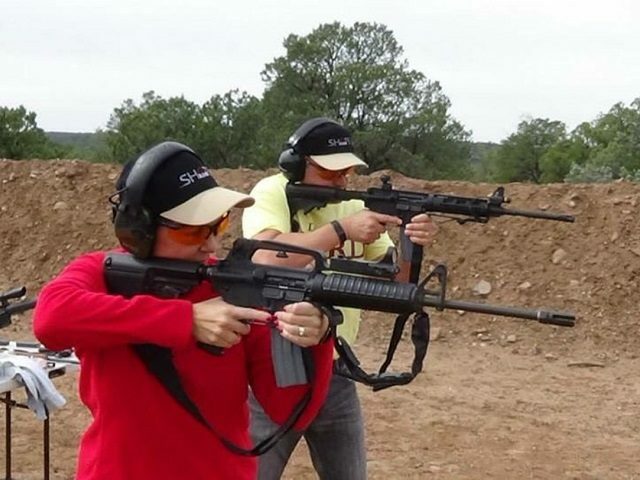 Fox News’ anchor Gretchen Carlson called for a ban on AR-15s. She suggested June 14 that the AR-15 is not necessary “to hunt or kill deer” and only serves to enable terrorists to carry out their attacks with greater efficiency. She then quoted a December 2015 poll showing support for an “assault weapons” ban and said she is aligned with majority in that poll. Yes, the Orlando massacre was terror, but there’s no doubt that Omar Mateen was able to kill so many people because he was firing an AR-15–a military style assault weapon; a weapon easier to buy in the state of Florida than buying a handgun. Florida sets a three day waiting period for buying handguns but the state mandates no waiting period for any gun that takes two hands to hold. President Obama and gun control advocates have repeatedly called for reinstating the federal ban on semiautomatic assault weapons that expired in 2004, [but] Congress has said no. At no time during her gun control push did Carlson mention that the Orlando attack took place in a gun-free zone; a place where club goers were disarmed, therefore defenseless. So there are numerous weapons that could have been used to inflict more casualties than we saw June 12. Again–the victims were disarmed. They could not fight fire with no fire. Gun bans lessen the number or types of guns law-abiding citizens can acquire to defend their lives and their homes but they do not stop criminals or terrorists. After all, Chicago has an “assault weapons” ban and they had 66 shot and 6 killed on Memorial Day weekend.